At the intersection of 1st Street and Glendale Boulevard in Echo Park, the Bob Baker Marionette Theater’s annual Halloween Spooktacular is in full swing. The hour-long puppet show is a fall-time L.A. tradition on par with sweating through your clothes while picking out a pumpkin, but this year’s show will be the last edition to take place in the boxy building the theater has called home for 55 years. According to an announcement posted online yesterday, the theater’s last performance in its current space will take place on Friday, November 23, the day after Thanksgiving. The next day, it begins a residency at the Pasadena Playhouse for a five-week run of Bob Baker’s Nutcracker. As KCRW reported, Bob Baker, the theater’s namesake puppeteer who passed away in late 2014, sold the building to real estate developers five years ago. (It was declared a Historic-Cultural Monument in 2009.) 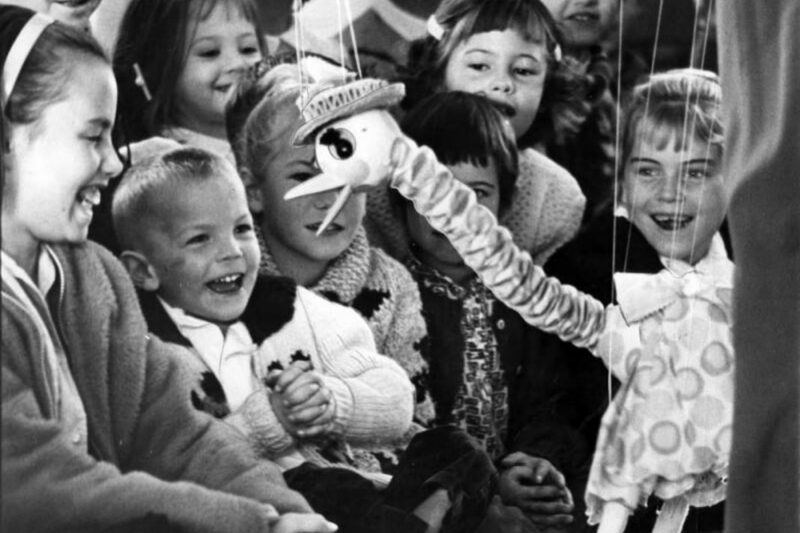 But the theater’s current leadership is determined to keep the troupe’s mission of puppet entertainment and education alive. Plans for the near future include pop-ups at the Santa Monica Pier, Dynasty Typewriter, Miracle Mile Toy Hall, KidSpace, and the YARD Theater, and a “soon-to-be-announced” new location, featuring “unrealized concepts by Bob Baker himself,” as well as elements from the current space. Executive director Alex Evans has set up a GoFundMe campaign with the hopes of raising $50,000 for the theater, now a 501c3 charity.